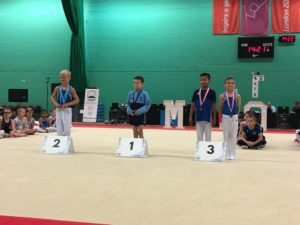 The Men’s Artistic Gymnastics London Open 2018 took place at Redbridge Sports and Leisure Centre in Ilford between 7th & 9th September. 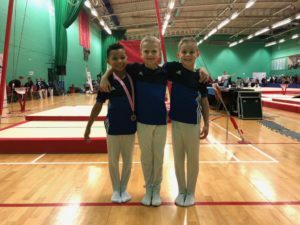 Gymnasts from the age of seven upwards travelled from all around the country to compete in this prestigious event. Among the competitors were 2016 Olympic medallists Max Whitlock and Nile Wilson. 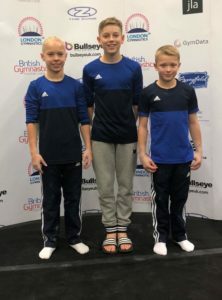 Gymnasts from the Men’s artistic squad at Rugby Gymnastics club competed in a number of categories, all demonstrating their skills with high-level routines on six pieces of apparatus. 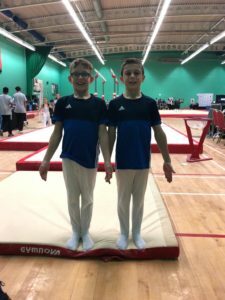 Competing gymnasts were U8’s Dante Godfrey, Hayden Rankin, U9’s Thomas Wilson, Taio Welsh, U10’s Liam Standeven, Max Gardner, U11’s Jacob Marsh, Hayden Taylor-Walton, U14’s Christian Mobsby, Dylan Taylor Walton, Luke Marsh, U18’s Thomas Jones and in Seniors Owen Print. 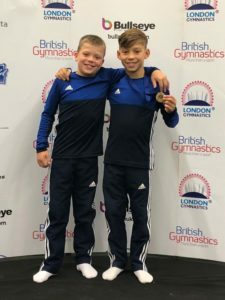 In the U8’s Club Level 1, Dante Godfrey took the bronze medal on pommel horse and in the U11’s Club Level 3, Hayden Taylor-Walton finished in all round 5th place taking gold medal position on Parallel bars. 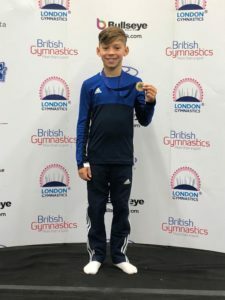 All of the qualifying gymnasts have been selected to compete for West Midlands in the British Gymnastics National Club and Elite Finals in November due to their strong performances. 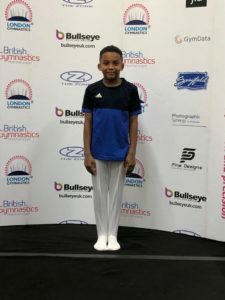 All of the squad compete regionally and nationally with many training over 20 hours with their coaches, Sergiy Kotlyarov and Julie Marsh at Rugby gymnastics club on Lower Hillmorton Road, Rugby.